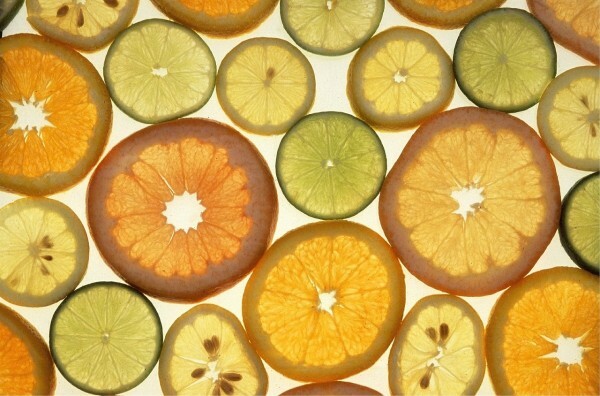 Refrigeration extends the life of Invigorating Vitamin C Serum, allowing the serum to work as an antioxidant in protecting skin from UV damage and visually improving wrinkles. For all skin types. Pair with Collagen Repair Serum for best youthful skin results. The antioxidant and repair qualities of Invigorating Vitamin C Serum include repairing skin from UV damage, decreasing wrinkles, and improving skin’s elasticity. Our product is delivered to you freshly made at a 20% concentration. Directions: After cleansing and toning, apply a few drops onto clean, dry skin. Gently rub in using circular motions. Use 2-3 times a week. Keep refrigerated, gently shake before use. Water, Ascorbic Acid, Glycerin, Ferulic Acid, Alpha-D-Tocopherol, Phloretin, Sodium Hyaluronate, Punica Granatum (Pomegranate) Seed Oil, Tocotrienols, Tocopherols, Astaxanthin, Lycopene, Xanthophyll, R-Alpha Lipoic Acid, Beta-Carotene, Citrus Aurantium Dulcis (Orange) Juice Extract, Citrus Medica Limonum (Lemon) Juice Extract, Xanthan Gum, Phenoxyethanol (and) Caprylyl Glycol (and) Sorbic Acid. I am happy to say the vitamin C serum is just what I was looking for. I enjoying using it more than 3 times a week because you can’t really have too much of a good thing:) I’m greatful that there is a healthy skincare line that uses ingredients I don’t have to be afraid of not knowing what they are. Thank you Dermadeli! 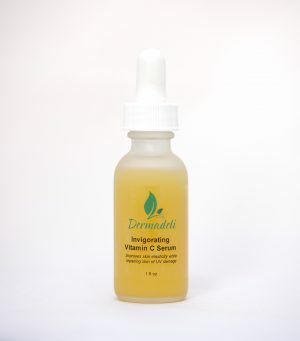 I recently added this to my arsenal of other dermadeli products. And I wasn’t disappointed. My skin drinks this up. It has a smooth application, cool to the skin It makes my skin happy and refreshed. I love the way my skin feels after I use this. It gives me a nice natural glow. Definitely not oily like I thought. Honest to goodness: The BEST facial serum I have EVER used. I tried it for a month prior to giving my opinion & I couldn’t wait to share how much I love the Dermadeli Invigorating Vitamin C Serum with the world. It’s truly a one-of-a-kind product that actually delivers what it claims and is full of ingredients that have been SCIENTIFICALLY PROVEN to improve your skin. It made my skin firmer, my pores tighter, my fine lines minimized, got rid of skin redness and discoloring, and brought back my skin’s natural glow forward. No other product compares. I can’t say enough good things about this product…You have to try it to believe it!! Third week in and the Vitamin C Serum is already showing a difference on my face. Other Vitamin C creams and serums have irritated my skin, but this has not broken my face out, or caused irritation. My acne scars are noticeably fading and I feel like I wake up to improved skin every day.. It also brings any tiny blackheads or pimples to the surface by the next morning, before it becomes a bigger problem. The only other things I use on my face are a mild face wash and moisturizer. Very happy with the serum so far!